Salem Church was built in 1861. The church is a simple frame structure commonly seen throughout Southern Ontario. 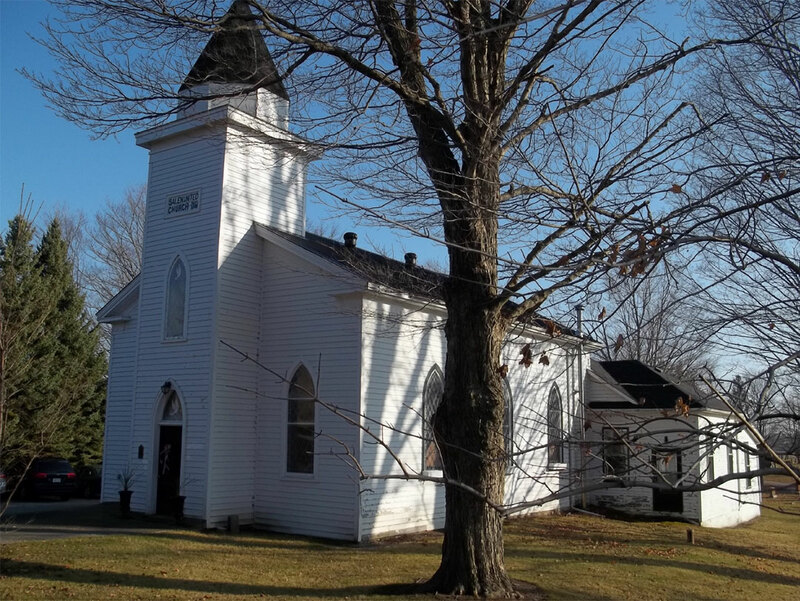 This small country church has Gothic arched stained glass windows with decorative trim; there is original shiplap siding; a projected front entrance which houses the front door (which is not original), with a Gothic arched transom and a balcony arched window. The front facade of the building has an arched window on either side of the projecting front entrance. There are returning eaves with detailed trim. There is a stone foundation. There is a choir loft in its original location which has been enlarged and the railing removed in the early 1900s. The original pews are very decorative wood with cast iron on the ends; there are two end set of pews and a central set. There are two 8 panelled doors which close off the front entrance (with panelled ends) fielded panels on one side and molded panels on the opposite side. There is wainscoting; a hanging bible cupboard; two turned balcony supporting posts; and a set of stairs on either side of the church leading to the balcony. Two of the three balcony pews with panelled ends are original. The open projecting front with arched window in the upper balcony is where the church bells are rung. A restoration project which rebuilt the spire, repainted in the original colour, fixed the roof etc. took place in the late 1970s.